GOVERNMENT TEACHER: GPSC Municipal Chief Officer Class-3 FINAL ANSWER KEY Declared 2017. GPSC Municipal Chief Officer Class-3 FINAL ANSWER KEY Declared 2017. 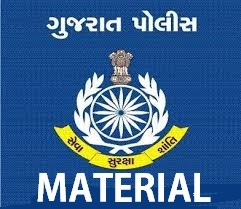 Final Answer key – GPSC Municipal Chief Officer Class-3 declared 2017 : Gujarat Public Service Commission (GPSC) has published Provisional Answer key for the post of Municipal Chief Officer Class-3, Check below for more details.